Palm trees, warm weather and beautiful beaches are not the only reasons to visit Santa Barbara in the upcoming summer months. The sunny, southern California city is the host for several upcoming creative musical events. Pack a bag and get out of town for a summer vacation while you visit one of the most beautiful cities on the west coast and have a music experience unlike any other. 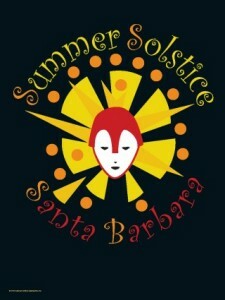 June 25 & 26 – Turning 36 this month, the Summer Solstice Festival and Parade is sure to catch your eye. The Solstice celebration showcases a variety of live musical performances, accompanied by dancing and a variety of arts and crafts and food vendors. During the parade, spectators watch as floats, giant puppets and volunteers wearing brightly colored costumes and masks meander along the streets of Santa Barbara ending in Alameda Park. This celebration is free, with festivities beginning at 4 p.m. Friday, followed by the parade on Saturday at noon. To learn more about this fabulous event, visit the 2010 Santa Barbara Summer Solstice Celebration web site. Music Academy of the West Summer Festival: June 21 through August 14 – If instrumental music is your style, attend one of the harmonious events showcasing the students of the Music Academy of the West. In the summer months, the Academy invites talented musicians from around the globe for eight weeks of study and performance in instrumental and voice based programs. 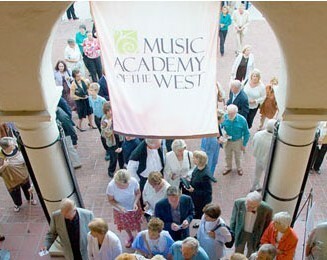 The Academy hosts a variety of musical events including concerts, an opera and competitions. For more information, to buy tickets and to view the full schedule of events, visit the Music Academy of the West Festival web site. August 4 through 8 – For more than 80 years, the Old Spanish Days Fiesta has been a Santa Barbara tradition. Old Spanish Days focuses on the history, culture and traditions of the American Indian, Spanish, Mexican and early American settlers that create the heritage and diversity of Santa Barbara. The majority of the activities during the week are free, all ending with a horse show and rodeo. Use your free time during the first week in August to go and learn about the culture of this beautiful city. Learn more about this event and the list of activities at the Old Spanish Days, Fiesta web site. features a variety of musicians in outdoor concerts. As the biggest amphitheater in Santa Barbara County, the Bowl has a history for hosting some of the biggest names in the music industry. This summer, the Bowl is providing the on-stage talents of several popular artists, including Norah Jones, Corrine Bailey Rae, David Gray and Jack Johnson. Ticket prices range from $30 to $89 depending on the concert and the seat selection. Find a full list of appearances, as well as additional information concerning the event, from the Santa Barbara Bowl Foundation.